MainAll NewsForeign AffairsDid MH370 Crash from Fuel Starvation? Did MH370 Crash from Fuel Starvation? ATSB hypothesis claiming the plane ran out of fuel before crashing provides a possible cause for the crash - but not the scenario behind it. Malaysia Airlines Flight 370, which disappeared on March 8, went into media silence over the past month as leads slowly fizzled out. Theories ranged from hijacking to crashing to being diverted for use in a terror attack, possibly against Israel. Later theories have become even wilder, ranging from an onboard fire to a suicide mission. But a new report published this week suggests yet another theory as to the fate of 239 missing passengers - this time, based on evidence. 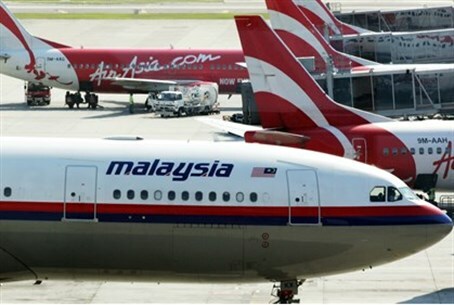 The Australian Transport Safety Bureau (ATSB) has proposed that Flight 370 crashed after running out of fuel, the Wall Street Journal reports Tuesday, citing a brand-new analysis of the final ping transmission from the doomed airliner. Investigators remain convinced that the jet crashed within 25 nautical miles of the final transmission, despite weeks of searching across large swaths of the Indian Ocean for a single sign of the missing flight. The proof: the final transmission did not coincide with the hourly pings normally sent out by aircraft transponders - a sign that the electrical systems rebooted due to a fuel shortage. The hypothesis is supported by simulations following fuel burn along differing flight paths, the ATSB said. The ATSB also stated that the search area intersects the only air route that passes down through the southeastern Indian Ocean, route M641, which travels from Cocos Island to Perth through four way points, according to the Journal. Fuel starvation may explain the lack of debris; in the event that pilot and crew were incapacitated, both engines could flame out simultaneously, causing a rapid and high-impact descent that vaporized the plane - and swallowed the remaining debris in the depths of the ocean waters. Several previous air accidents prove this. Helios Airways Flight 522 crashed on August 14, 2005 after several hours of "flying blind." Passengers and crew succumbed to oxygen deprivation during the short flight from Athens to Lanarca - due to a problem with air pressurization - and a flight attendant, the last person to succumb to hypoxia, placed the aircraft in a holding pattern for several hours while he tried unsuccessfully to land the plane. Greek authorities were only alerted to the tragedy, however, after numerous attempts at audio contact were established - causing several F-16s to be dispatched to establish visual contact with the plane. Only then did they see that the crew was slumped over, motionless, with oxygen masks hanging in the cabin. The plane later crashed at high speeds into a mountainside due to fuel starvation. While the Helios crash occurred due to a technical problem, fuel starvation does not preclude the possibility of a hijacking. On November 23, 1996, hijackers boarded Ethiopian Airlines Flight 961 and demanded that the pilots take them to Australia. The pilot and co-pilot were unable to convince the hijackers that the flight - which was bound from Addis Ababa to Nairobi on an already-long Bombay-Addis Ababa-Nairobi-Brazzaville-Lagos-Abidjan service - lacked enough fuel to make the long journey. Captain Leul Abate successfully stalled the hijacker as he flew along the African coast, eventually gliding to a risky water landing after running out of fuel; 125 people died, but over 50 survived, due mostly to the proximity to land. The landing was one of the very few airline water landings in history, however; if the Malaysia Airlines flight faced similar circumstances, a rescue may have been impossible from the depths of the Indian Ocean. The ATSB also announced Tuesday that the Ocean Shield's active searches for the airliner are due to end next week, leaving Chinese survey vessel Zhu Kezhen alone to map the seabed. Meanwhile, bereaved families have grown increasingly frustrated with what many perceive to be the stubborn lack of cooperation on the part of Malaysian authorities in the search for the missing plane, and have demanded a separate investigation.